We encourage you to enter online. We process online entries through The Field Trial Management System (FTMS). Entries are accepted online at www.fieldtrial.info. Alternatively you can download one of our interactive entry forms and send it to the relevant Field Trial Secretary by post. Online entries must be paid directly to FTMS no later than one week before the Trial by those successful in the draw. Legitimate refunds will be made per KC reg. J.7f. If entering by post, please provide where possible your email address or failing that a stamped self-addressed envelope for the draw to be posted to you. 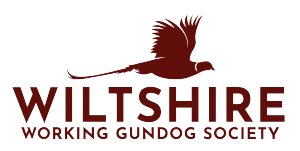 Cheques should be made payable to Wiltshire Working Gundog Society. A separate cheque is required for each dog entered. Substitution of entries will be allowed up to 48 hours prior to the date of the trial provided that the substitution has the appropriate qualification for preference in the draw and is eligible for the stake. Details of substitute dog (s) MUST be included in the entry form. For that stake MUST be clearly marked substitute.